Las Vegas, officially known as the City of Las Vegas is the most populous city in Nevada’s Mojave Desert. Vegas City is renowned internationally as an important resort city. This resort town is famous primarily because of its buzzing energy, mega shopping malls, fine dining, 24-hour casinos and the endless entertainment available. Vegas’s reputation of fantasy and extreme fun activities and has led to the city being nicknamed ‘Sin City’. There is much more to Vegas than the gambling. In addition to the casinos, the area offers other fun-filled activities such as helicopter tours, world-class shopping malls, comedy magic shows and even movies. In fact, if there is a city where meeting a celebrity is quite easy, then that’s Vegas. The themed shows shine bright and color the nights, while magicians and circus performers entertain visitors in the open streets. The Strip is the Vegas’s focal point; covering over 4 miles in length, it hosts major hotels, luxury resorts, fountains and amazing casinos. No matter your personal preferences, Vegas never disappoint. 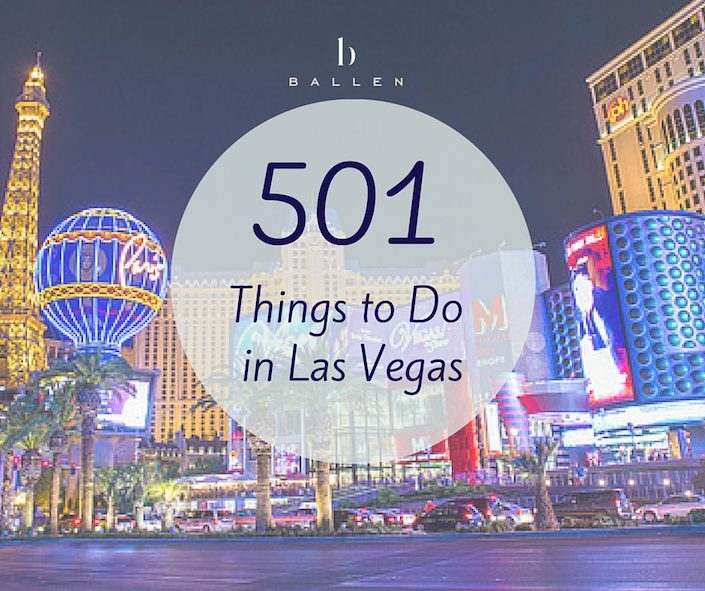 Things to do while visiting Las Vegas do differ amongst visitors. Below is a sample outline of things you can do in Vegas at relevant venues. Of course, if you want to Shop Las Vegas Real Estate, you can do that here with Lori Ballen Team at Keller Williams Realty Las Vegas. Love someone at a romantic dinner at Joël Robouchon at MGM. Eat, Drink, Play, and Watch Sports in Summerlin at Dave and Busters! Appreciate a date at Hugo’s Cellar in the Four Queens, a local favorite. Grab a Kayak and head out for an adventure. Claim that vacation time and take a 7 day camping Tour from Sin City to parks and back.